Social switch: Neurons that produce a protein called parvalbumin may control social motivation in mice. Switching off a specific set of neurons that dampen brain activity causes mice to lose interest in social interaction. The unpublished results were presented yesterday at the 2016 Society for Neuroscience annual meeting in San Diego. People with autism may have overactive brains due to a lack inhibitory neurons, which depress neuronal activity. Studies suggest that inhibitory neurons that produce the protein parvalbumin may be in particularly short supply in the brains of mice with autism features. In a 2016 report, researchers questioned those results, however. They found that these neurons are present in normal numbers. The cells had been incognito, however, because they underproduce parvalbumin. To pin down the protein’s effects, Morishita’s team used a technique called chemogenomics to selectively silence neurons that produce parvalbumin in the mouse prefrontal cortex. This brain area is involved in certain types of cognitive tasks. The researchers then measured the animals’ social skills, anxiety, memory and sense of smell. Like typical mice, mice with nonfunctional parvalbumin neurons have normal levels of anxiety, good spatial memory and can tell odors apart. 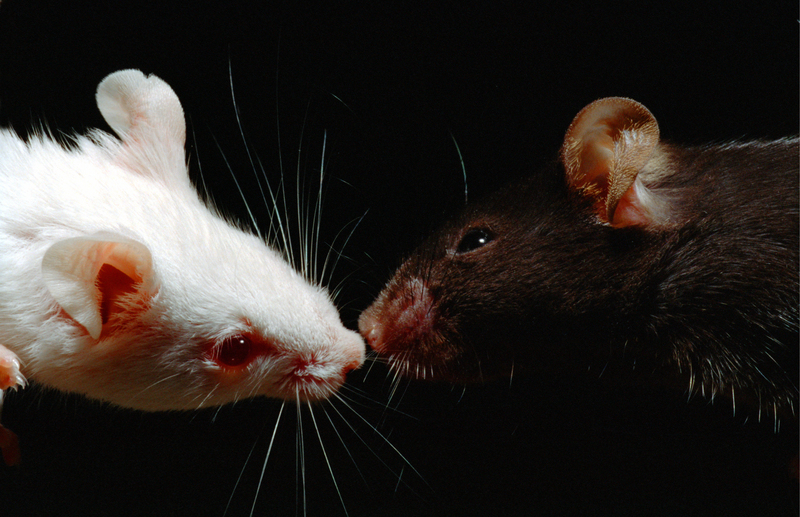 But unlike typical mice, they have little interest in social interaction. They choose to spend more time in a solitary area of the cage than in a shared space. They also have trouble distinguishing mice they’ve met before from strangers. The study is a first step toward understanding the role of the cells in social behavior, he says. Morishita’s team plans to silence parvalbumin neurons in juvenile mice to see how the loss of functioning cells affects early social interactions and shapes behavior as the mice mature. The researchers also plan to activate parvalbumin neurons in mice with autism-like behaviors to see if they can spark the rodents’ interest in social interaction. For more reports from the 2016 Society for Neuroscience annual meeting, please click here. Do the while recovering such drugs: https://modafinilxl.com/generic-provigil-online/ my friend traumatic brain injury. We are looking for all the ways that he has recovered. Doctors say that it is too small for such a severe injury. But my friend’s parents do not want to miss the smallest opportunity to help him. We are trying to find information where possible. If you know more about these medications please write. The “fidget spinner” or sometimes known as the “finger spinner” is undoubtedly the hottest toy so far in 2017. This ultra simplistic yet alarmingly addictive toy, originally designed for kids and adults with ADHD, has singlehandedly turned eCommerce, marketing, branding, and manufacturing into a viral meme, selling out wherever they crop up. Being more popular than Star Wars, Marvel, and even Disney branded toys, fidget spinners are already creating controversy among parents, teachers, and doctors. That’s elite status any brand would kill to achieve. More importantly, the fidget spinner has proven that a product does not need to be useful as long as it can generate enough interest. And that accessibility through simplicity and curiosity is often greater than the sum of its parts.